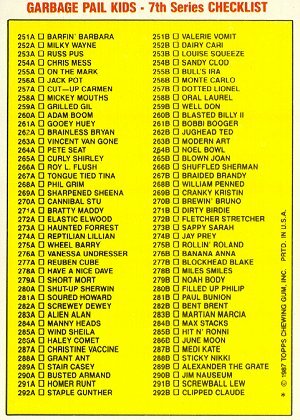 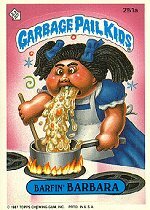 There are three card variations that are less common than the other card variations: card 260b Blasted Billy II with purple Garbage Pail Kids banner, card 261b Bobbi Booger with purple Garbage Pail Kids banner, and card 289b Alexander The Grate with the card number printed in white on the right. 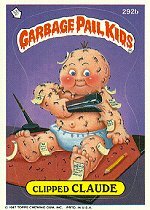 Since these variations are less common, their values are higher than the other cards in the United States Garbage Pail Kids 7th Series. 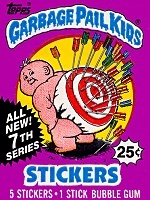 The all of the variations can be found in packs with either wrapper code, but the less common variations cannot be found together with the more common variations (i.e., both pulled from the same box). 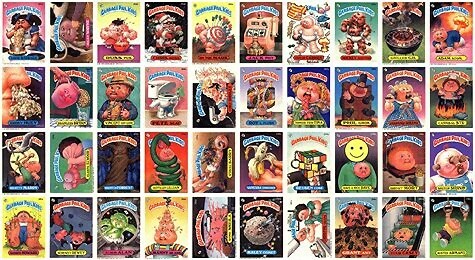 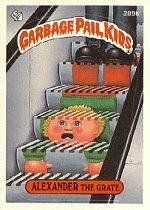 In regard to the three variations discussed, a full case of United States Garbage Pail Kids 7th Series boxes will either consist of boxes with the less common variations or boxes with the more common variations.